This stand is perfect people that own bikes with and without spools. BRAND NEW DESIGN--handle faces forward. Saves rear space, and eliminates tripping over the handle. Fully adjustable. Available in spool and pad (standard) versions. Motion Pro Fuel Injector Cleaner, For Weber Marelli Injectors Handheld, battery operated, at home fuel injector cleaning tool. Buzzetti Inner Bearing Puller Kit w/Slide Hammer This is the kit we use for blind hole engine bearings and to pull wheel bearings for most service bikes at AF1 Racing. For the person that likes to have the right tools for the job, this is a professional grade chain tool. 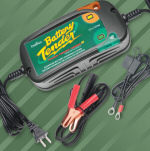 Battery Tender Plus 12V/ 1.25 Amps- 2 Bike Charger Keep your battery fresh and fully charged automatically. Pit-Bull Tire Change Wedge Your days of struggling to hold the rear wheel in just the perfect spot during rear tire changes are over! Xena Roadloc Brake Rotor Disc Lock. 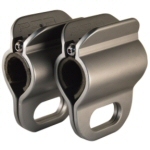 Compatible with all 320mm Disc Aprilia and Moto Guzzi models. Keep your battery fresh and fully charged automatically. Motorcycle tires lose air very quickly. Check you pressures often and before every day at the track. Haynes Motorcycle Fuel System Basics Manual Some of the pride of ownership with less common 2 wheeled brands comes from doing your own work. Let this manual help you understand the fundamentals. Motion Pro Sag Scale II Setting proper suspension sag is the most critical first step in setting up your suspension. Make measurements easy with this sag gauge. Loctite 518 Flange Sealant for Fuel Pump O-Ring 50mL. Motion Pro Gasket Scraper Tool This tool from Motion Pro allows you to finally quit fiddling with razor blades that are too wide or bite too hard. Your gasket scraping projects just got a little (or a lot) easier. An Ohlins OEM part used for adjusting the spring preload on the rear shock. 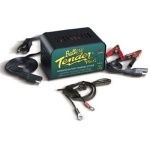 Works for many other shocks other than the Ohlins. Buzzetti Heavy Duty Exhaust Spring Puller Tool Can be used on any exhuast system that uses springs. OEM Aprilia Wiring Diagram '14-'17 Capo 1200 T.P.